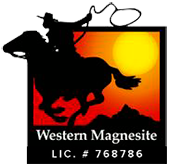 Western Magnesite > Blog > Magnesite Systems > What is Magnesite? For those of you not in-the-know, magnesite is composed of magnesium oxychloride and inert fillers such as sawdust, stones, etc. It has a high strength/ low weight ratio and features a smooth or textured finish and sealer to complete its waterproofing characteristics. Magnesite is resilient and certainly quite beautiful– but can be prone to cracking. 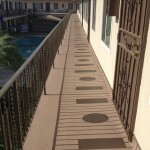 Today, it is far more common to encounter magnesite around flooring surfaces at the exterior of a building. 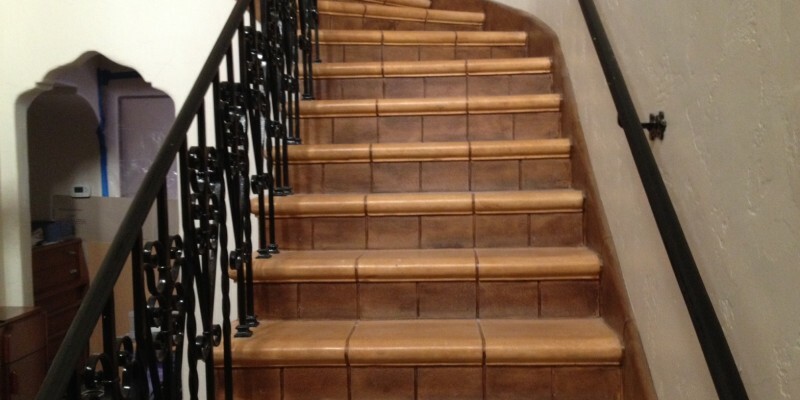 It is often used for walkways and stairs. Some may argue, due to availability of a wider variety of coatings (which we offer as well), that magnesite is a dying product. Due to this, there are only a handful of contractors which continue to install magnesite, and we have a half century’s worth of experience doing so. We sometimes supplement magnesite with another system to increase grip and texture. If your building features magnesite and you’ve noticed cracks, pits, or chips, call us at 800-986-4164 to schedule a visit with one of our estimators. Don’t wait– with El Nino already upon our doorstep, this could be the last chance to protect your building from water damage, and your tenants from injury. 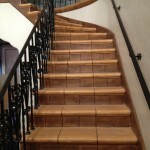 We have a 1936 Spanish style home in El Monte CA, which has a faux tile floor at main entry that looks like Magnesite. Cracking and failing in several areas. It is textured and stained to look like tile. Can you repair or does it need replacement to a more common tile, stone, ect. The problem is, the only magnesite supplier is no longer supplying us or anyone with magnesite. 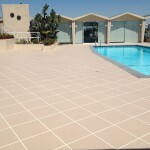 Your best option would be to replace your flooring with actual tile if you would like to maintain the Spanish style or with any other flooring alternative. Thank you for contacting us and good luck with your project.